Camelbak water bottle cleaning is essential and should be given priority after each use, whether you are using the Camelbak water reservoir for hiking, camping, or biking. If you fill the bladder with drinks other than water, it should be cleaned immediately after use to prevent the growth of bacteria, mold or discoloration. Fruit juice left in a bladder can act as incubators for mold and bacteria. Freezing the empty bladder between uses is a good idea but caution should be observed since water expands when frozen. Freezing prevents bacteria from growing if the bladder is not completely dry before storing. If any water is left in the mouth nozzle, it will freeze and expand and stretch the opening. This could stop the nozzle from self-sealing. To prevent this, remove the nozzle before freezing the bladder. Water left in the tubing could also cause expansion when frozen. Be sure the tube is free of water before freezing. Determining how to clean a Camelbak effectively is the key to Camelbak hygiene. The following are the best 2 methods and procedures with specific instructions on how to clean a Camelbak bladder. This is the best way to clean a Camelbak. Baking soda eliminates odors and foul tastes from the plastic parts of the Camelbak bladder. Use hot water and bleach or two tablespoons of pure baking soda. Note you should never pour boiling liquid into your Camelbak bladder; it can cause damage. You can also add 1.5 ounces of white vinegar, which will kill mildew, germs, and mold. Prepare a solution of these ingredients and put it into the bladder. The baking soda will fizz. After the fizzing has settled, allow the solution to sit in the bladder for five minutes. Lift your bladder up slightly above your head and pinch the bite valve. Ensure that the bleach water is freely running through the tube to clean and disinfect it. It is recommended to let the cleaning solution sit in the bladder for at least 30 minutes before emptying the bladder. After the above wash the Camelbak bladder with warm to hot water and mild soap. Always thoroughly rinse away any cleaning detergent or bleach solution. If you have access to Camelbak brushes, use them to scrub your bladder and tube. Brushes ensure extensive cleaning of all the areas of the bladder resulting in an impeccably clean water carrier. Air drying your bladder after washing reduces the chances of moisture getting trapped inside, which can cause mold to grow. If after thoroughly cleaning the Camelbak bladder you still have mold spots, then the bladder is permanently stained, but should still safe to use. This is the best alternative method of cleaning a Camelbak bladder. Fill your bladder with slightly hot or warm water; avoid using extremely hot water. Add a single cleaning tablet to the bladder and close the cap. Leave the bladder lying on its back side for five minutes. Shake the bladder for 40 seconds to mix and spread the cleaning solution. Slightly pinch the bite valve and gently squeeze the bladder to remove any accumulated air. After that, fill the bladder hose and bite valve with the cleaning fluid. After 15 minutes, pour out the liquid and rinse the bladder thoroughly with clean water. It is good to be cautious when using iodine or other purifying tablets since their prolonged usage could stain the bladder. Fill the Camelbak bladder with warm or slightly hot water and a mild washing detergent; avoid using bleach or boiling water. Remove the hose from the bladder and the bite valve from the hose. Use a small bladder washing brush to scrub the inner part of the hose. Remove the silicone bite valve cover and the bite valve. Gently clean them with mild soap. Keep the hose and bite valve in a well-ventilated area to dry; do not put them in direct sunlight. Insert the drying rack through the cap and into the bladder and let it dry in a well-ventilated area. If you want to consume clean and safe water while camping, hiking, or biking clean your Camelbak bladder frequently using baking soda and white vinegar until it is crystal clear. If you want to adopt the best way to clean a Camelbak bladder with a long body and narrow opening, use a solution of vinegar and baking soda. A vinegar and baking soda mix disinfects and leaves the Camelbak bladder free of bacteria or mold. If you’re looking for biodegradable and chlorine-free cleaning tablets, use Hydraulics Cleaning Tablets. 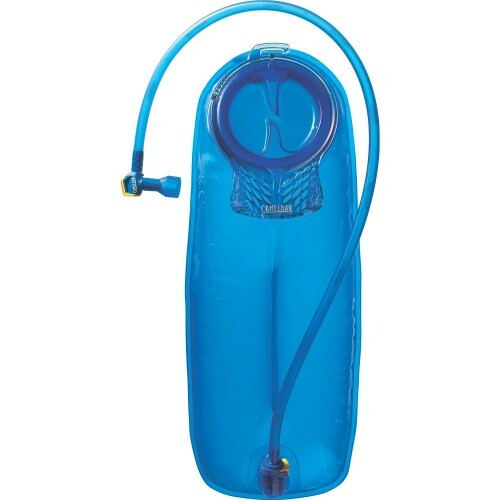 They are among the best in maintaining Camelbak bladder hygiene. The tablets are natural and will keep your bladder fresh and free of bacteria. 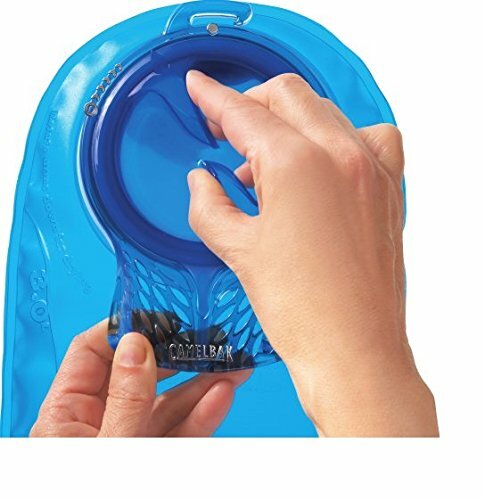 Camelbak bladders are available separately to the complete Camelbak backpack system so as well as cleaning regularly there’s no harm in owning more than 1 and interchanging them between use.